20mph won’t happen in Richmond in a hurry. 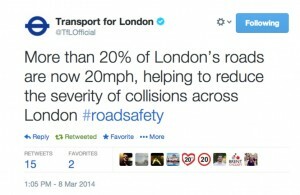 20mph is one of London Cycling’s six core ‘asks’ from the recent elections. 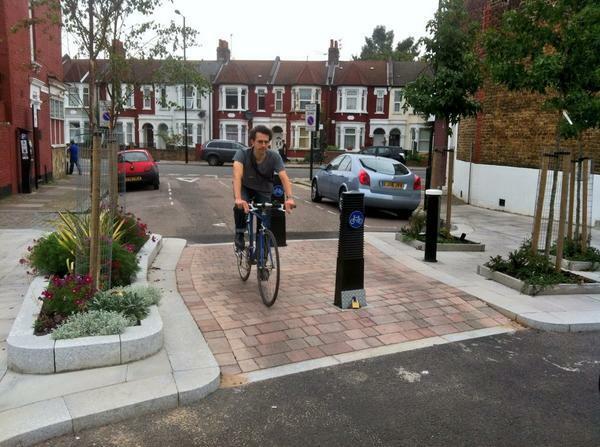 Six things that we believe would make London’s boroughs better places for cycling. So it’s a shame that the council is so clearly hell bent on doing virtually nothing about it. Council “Look, just because no councillor here has more than about 10% of the people in their area actually vote for them, they still need you to collect a majority of everyone. Council “Oh, and if you’re still giving us grief, we’ll review the accident data for at least three years to decide if we think it’s appropriate. Kew Road could get a toucan, what about Kew Green? 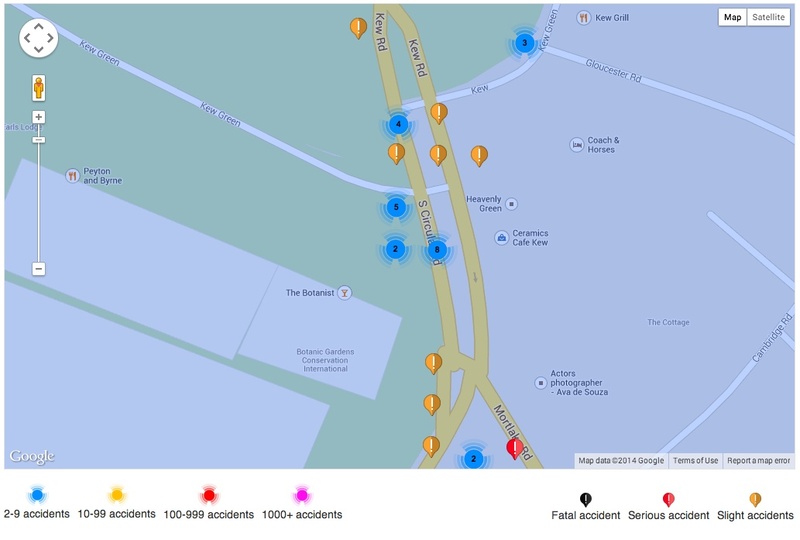 What do you do when you’ve got a zebra crossing where pedestrians don’t get injured, but the traffic goes too fast, and you’ve got a busy junction further along with lots of incidents of all types? 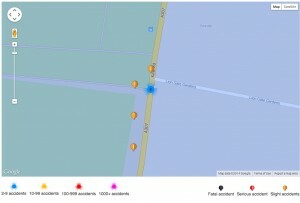 Which junctions are most dangerous? For whom are they most dangerous? How can I make this a pleasant place to be a cyclist or pedestrian? We think this consultation is flawed, the process behind it is flawed, and the analysis that leads to spending such a large sum of money on something that is statistically likely to make very little difference to the people involved is poor. Will the decision get through cabinet? 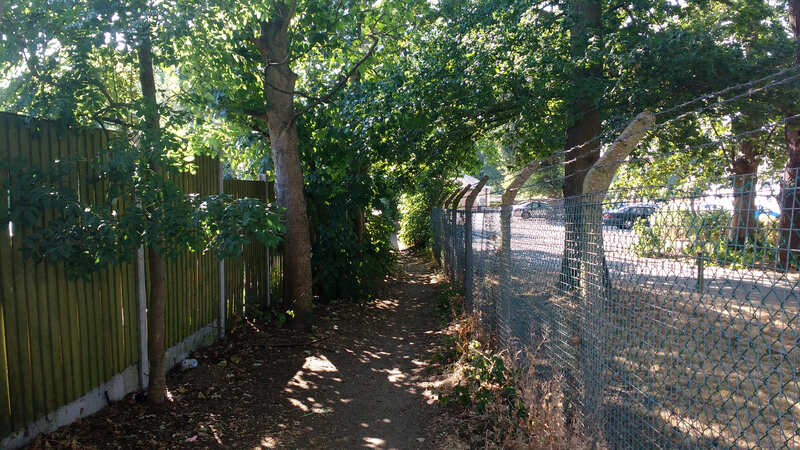 Maybe so, but we’re probably not the only organisation in the borough who could think of better ways to spend £125,000 on making things better for walking …. 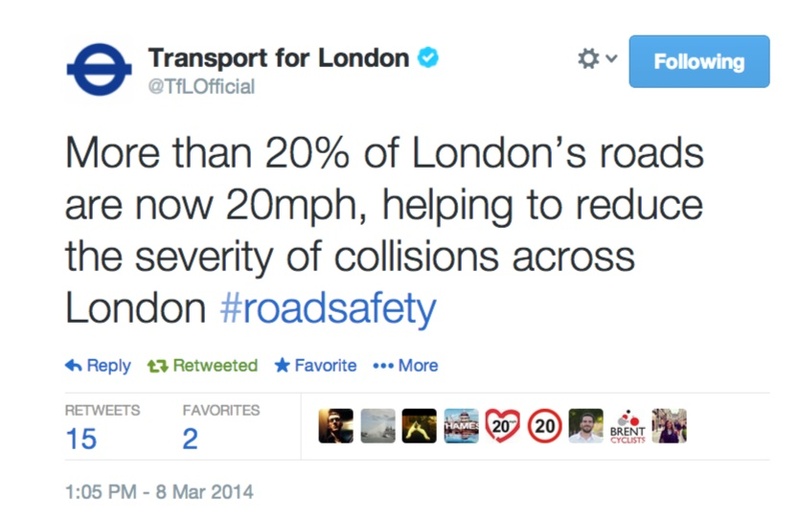 We think 20mph is plenty for our borough. Richmond has few roads where you ever really want to be doing 30mph, and the national (and international) evidence is mounting up. You don’t think Three filmed this on a 30mph street, do you? More and more, we’re hearing from other London boroughs, other areas of the UK, and from throughout Europe, about how slower speeds in residential and populous areas is a good thing for everyone involved. Ask all the people in your road if they wanted a 20mph zone. Show the council that you had a majority – bearing in mind that anyone not answering is obviously a ‘no’. Have the council come round and consult again. And then get everyone to respond. 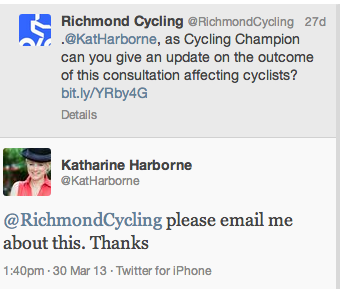 And I mean everyone – because again, if they don’t reply, then the council will count that as a ‘no’. So, you’d either need 51% of the voters to turn out, and every single person to vote for you, or if they all turned out, you’d need 51% of the voters. 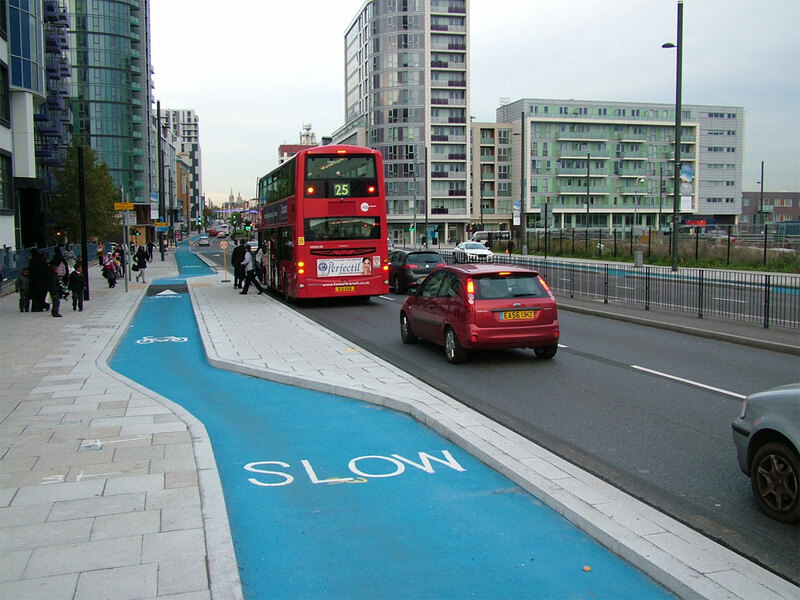 We think cycling needs somewhere safe, pleasant and calm, and if you read London Cycling Campaign’s ‘Space 4 Cycling’ pages, you’ll see how 20mph zones are a key component of this. And an update: pop along to Richmond’s local 20’s Plenty group, and sign their petition. 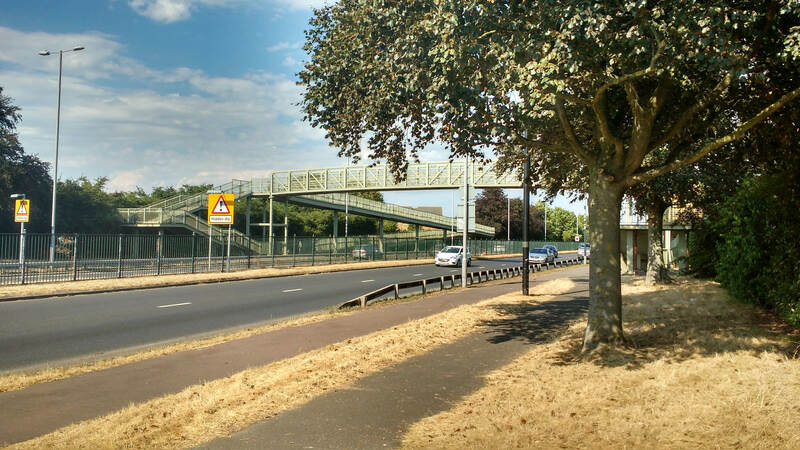 The council is looking to re-design the roundabout which leads on to the Richmond gate entrance to Richmond Park (streetmap view here), and RCC committee members are hoping to talk to council officials in the next couple of weeks about this, so we’d like your input! 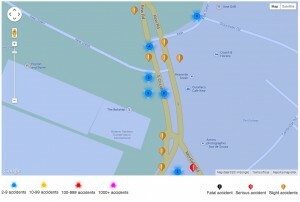 The roundabout has seen a number of incidents in the last few years (LBRuT have reported 10 collisions in the proximity of the gate with 8 of them involving cyclists – you can use http://www.cyclestreets.net/collisions/ to see some of them), and they’re considering a number of options. If Richmond Park is to be a destination for everyone who wants to cycle, then it’s great news the council is looking to improve this crucial junction. 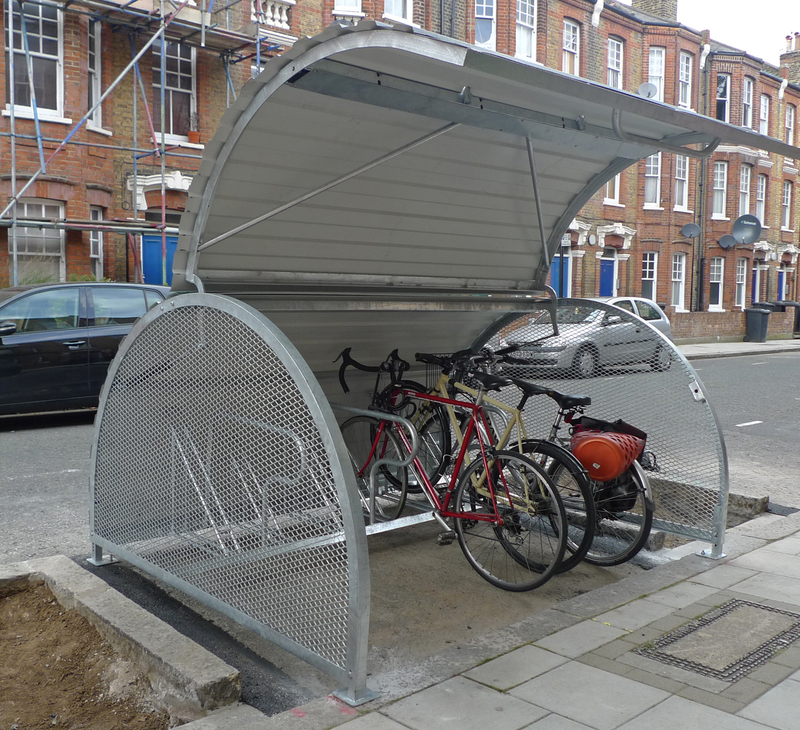 Our hope is that changes made here can set a template for making our borough much friendlier for people seeking to access key facilities by foot and bicycle. 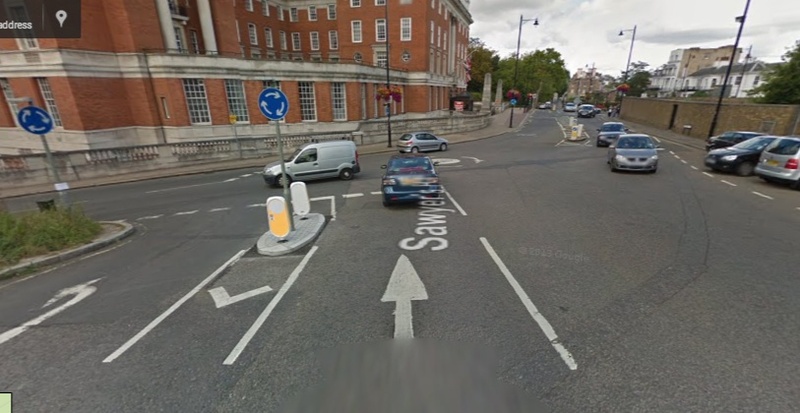 Options under investigation include moving the traffic island, and resurfacing, among others. What would you like to see happen here? 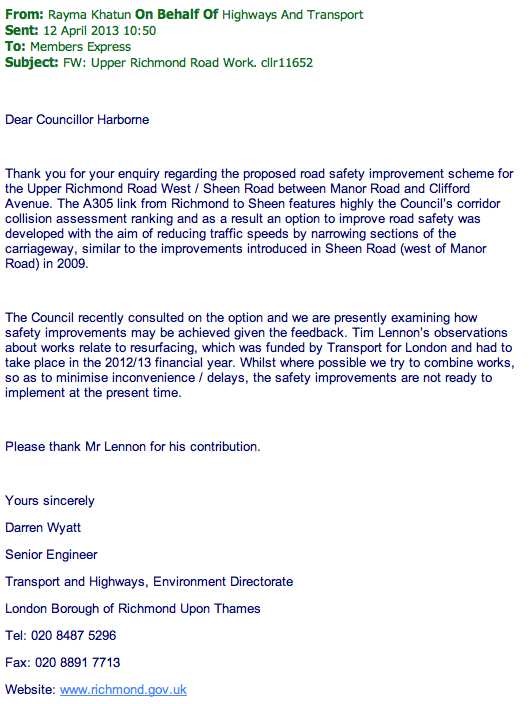 Let us know via our email campaign@richmondlcc.co.uk or contact form. Upper Richmond Road West has been on the receiving end of an awful lot of tarmac in the last couple of weeks, and is now beautifully finished. 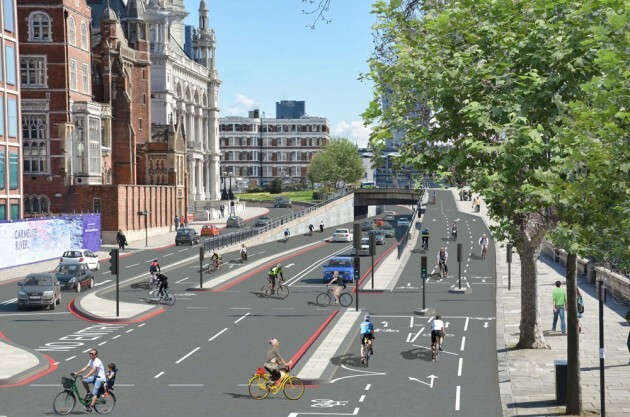 Which is nice, but there was a big consultation last year, and RCC took the opportunity to look at some of the issues with that stretch of road. 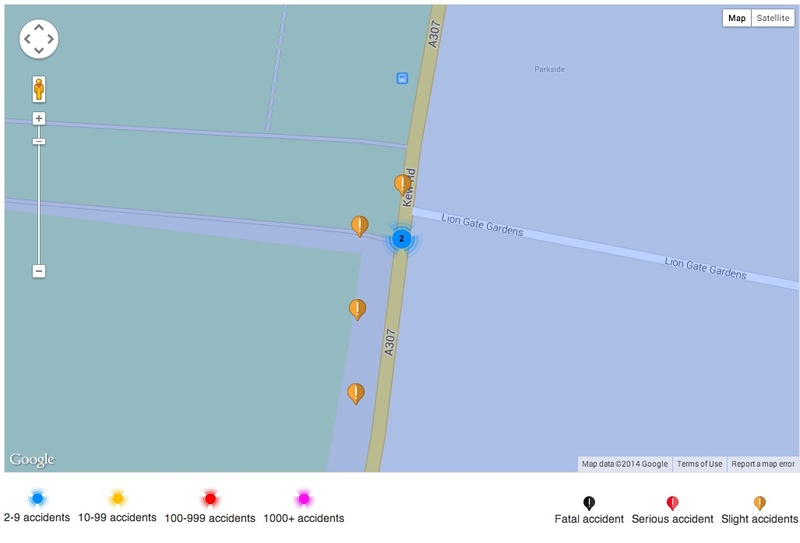 This is a busy road, which serves five local schools, as well as a number of other local amenities, and it was being consulted on because it’s an accident blackspot. So you can imagine that we were very worried that the many responses we’re aware of, which were deeply critical of the proposed plans, have been ignored. It’s taken quite a while to get what is pretty simple information out of the council, but they have explained the current situation – now we’re just waiting to hear the outcome of the consultation. 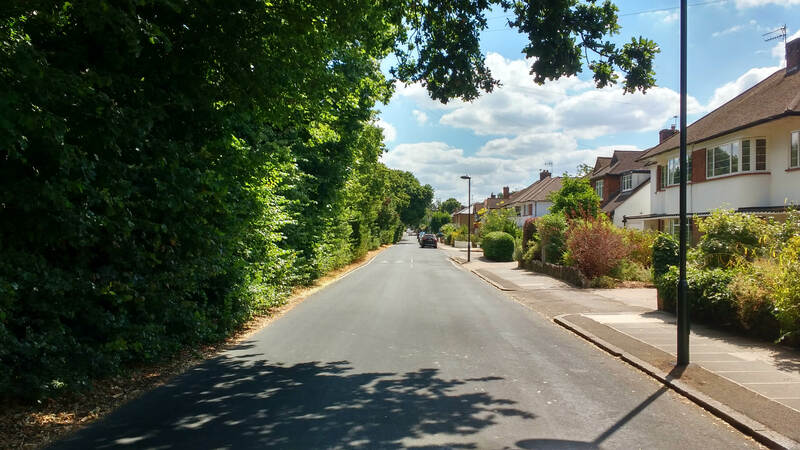 A number of people have contacted us about this, so please don’t be shy telling the council that you think this stretch of road needs fixing, and copy us in! At the time, the story was picked up by several online sites, including Cyclists in the City, LCC, Road.cc, BikeBiz and The Times. Several advertisers, including Moore’s Bike Shop, Sigma Sport and Action Bikes stated that they would not advertise in the magazine in the future. Subsequently, Mr Nye posted an apology on The Richmond Magazine’s website (you can read the apology on this article by BikeBiz). Although we felt Mr Nye’s comments were extremely badly misjudged to say the least we didn’t believe there was anything to be gained from pursuing a personal vendetta against Mr Nye or the magazine. So we gave an invitation to Richard to come along to one of our rides to see some of the issues we face on the roads and hopefully highlight why the reaction was as strong as it was. That was easier said than done. Although enthusiastic to follow up on or offer, it turned out that he didn’t know how to ride a bike (yes, honestly). So instead, we invited him along to see the work we do with schools in the borough through The Turning Hub, Richmond’s mobile bike club. 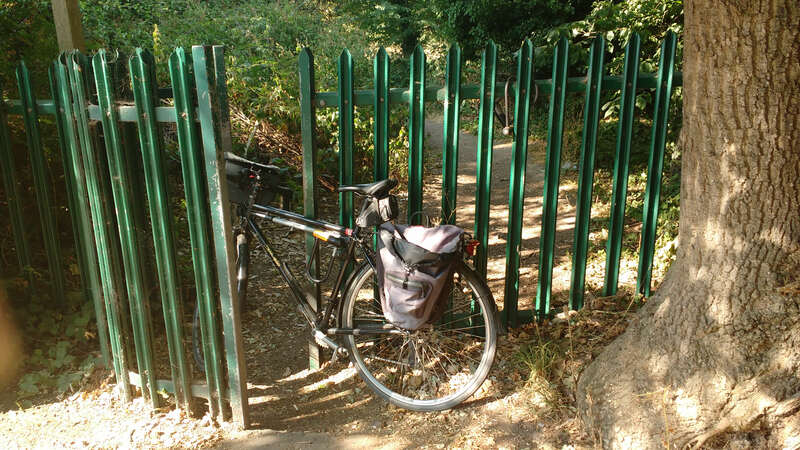 We wanted him to witness the enthusiasm of kids for cycling (particularly after the Olympics) but to also understand the barriers to cycling to school in the borough. It was an interesting event, on a particularly cold rainy day in November, and he came away seeing the evident enthusiasm of the kids and we hope a new perspective of cycling and cyclists. A big thank you to Jonathan and all the team at The Turning Hub for hosting Mr Nye. You can read more about what they do and which schools they currently have clubs in on their website – www.theturninghub.co.uk. Is your kids’ school one of them? Cycling to school is something we feel very strongly about and an area where Richmond Council should do a lot more. 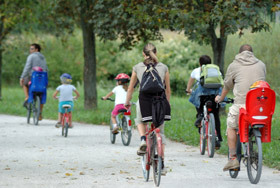 A recent study showed “Cycling or walking to school increases a child’s ability to concentrate in the classroom” and “adolescents who cycle are 48% less likely to be overweight as adults”. 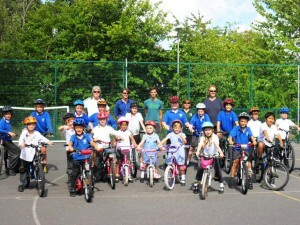 We would love to have this as the school run in our borough –http://is.gd/M4ZcO2 Given the congestion and pollution caused by parents driving kids to school, everyone benefits. 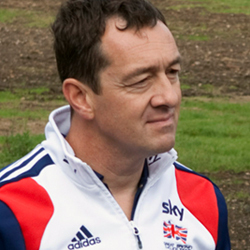 The Council has spoken many times about an Olympic Legacy of cycling in schools. 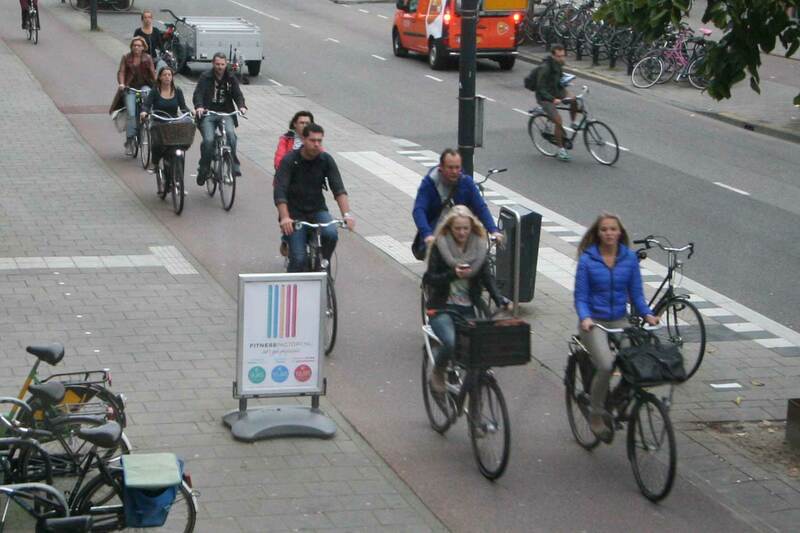 Wouldn’t it be great to have a legacy of cycling to schools. 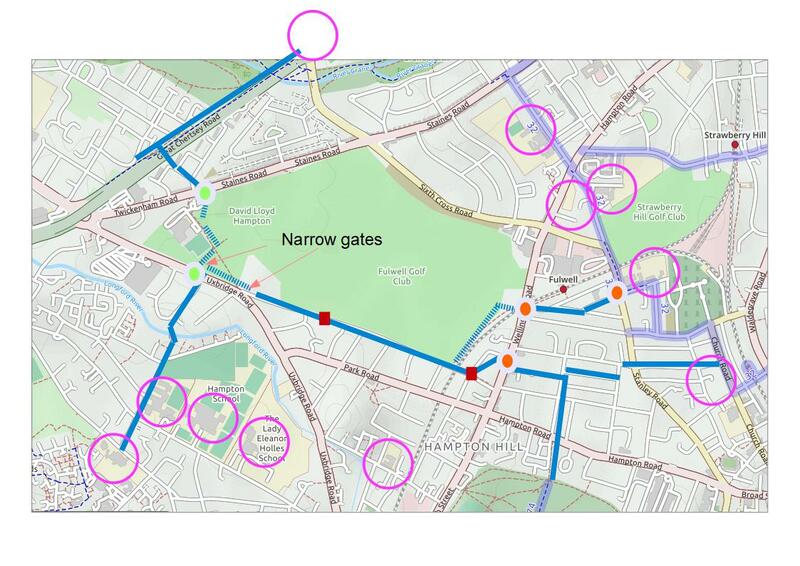 To achieve this, a real commitment is needed to provide safe routes for mums and dads to cycle with their kids to school, not half measures like this recent consultation on a road which acts as a key route to five local schools and a number of nurseries.